Flaneurz brand comes from a dream: combine urban travel and style. 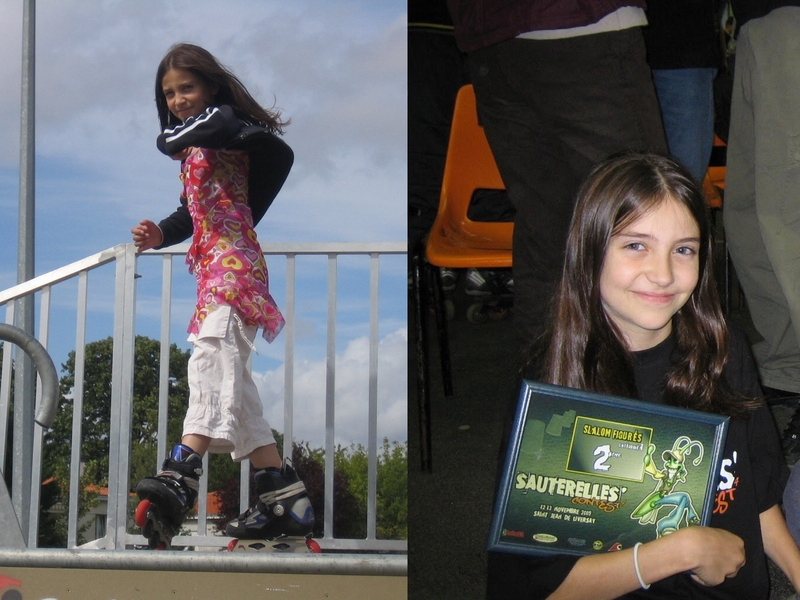 Some of you are wondering how this passion for roller skates was born for each Clique member. The 80’s - 90’s are symbol of freedom and innovation with the Internet advent. It is also a roller culture highlight. Born during the “golden age” of roller skating, Florian, Flaneurz co-founder, is more comfortable on wheels than on foot. At the project origin, he deals with the financial and administrative aspect. Florian skates from an early age. 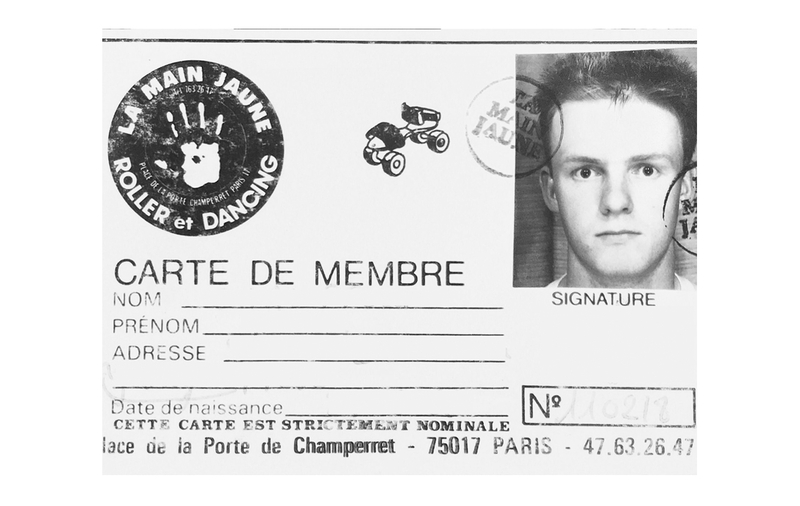 As a teenager, he goes to La Défense, Trocadéro or near Balard (Paris) to practice ramp. It’s a means of expression to which he identified himself: “It’s as much my passion, as a way to move”. For 8 years, he travels all around the world (USA, India…) : "I traveled in more than 45 countries with my roller skates. I observed cultures, looks and moving ways”. Strolling with his sneakers, screwed on rolling part, is a way to differentiate himself abroad. This french roller quad characteristic assembly rocked his childhood. In New York, some people ask him where his roller skates come from: “They wanted the same. So, I started making pairs for others”. Convinced of the international potential, he co-created Flaneurz in December 2014. Walid, co-founder, has distinguished himself in several roller skates disciplines before joining this entrepreneurial adventure. He is technical manager and in charge of the production. At 8, Walid sees his neighbour doing acrobatics with roller skates. Finding it original, he creates his own screwed pair. At the late 80’s, he acquires Hawaï Tribu roller quad. He begins to slalom between bottles or points drawn on the ground and discovers jump. In the 90’s, he attendes Le Trocadero and starts compétition. In parallel, he becomes an international judge (Lausanne Urban Contest). Walid’s skating is a mix of jumping, slalom, street, ramp and roller derby: “I am always curious to try new disciplines to improve my skating”. In 2002, he creates RollerFR.net website, a reference on urban roller skates: “We were innovative before YouTube or Facebook. We were a roller skates social network”. After the RollerFR.net end, he takes over RollerQuad.net to promote the French quad culture. His evolution in the roller skates brought him to the Flaneurz co-creation. Arts et Métiers engineer, Arnaud likes to imagine innovative objects. At the first product conceptualization origin, he develops collections, capsules and limited editions in partnership with prestigious brands. The roller skate practice is synonymous with pleasure for Arnaud. At 3, he is already strolling with a quad pair during family outings. As if his path is all traced, he realizes his first internship at Taïg Khris shop. At 15, inline skates is trendy, Arnaud acquires aggressive roller skates. 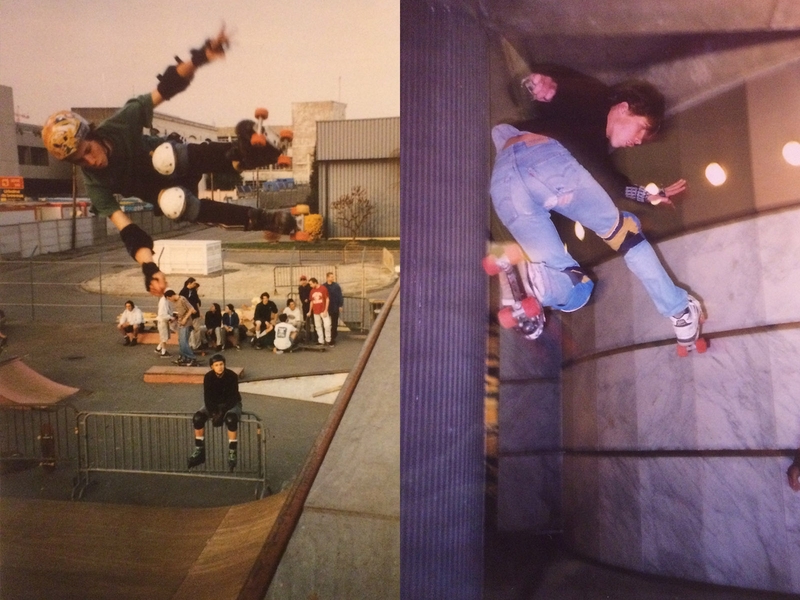 Growing up, he continues to practice skating in skate parks: “I’m proud to say that I realize the front flip more easily than back flip”. His best memory in roller skates is in Barcelona: “Visiting a city on wheels is exceptional! We discover the city differently and we enjoy to stroll in a totally random way”. He dreams of visiting New York with his Flaneurz and discover the American way of life. In the beginning of 2000s, online roller skates is at its peak. Former inline skate champion, Laurie discovers quad roller skatings pleasures by joining the Clique. Her role: to make you live an unique experience before, during and after your Flaneurz acquisition. 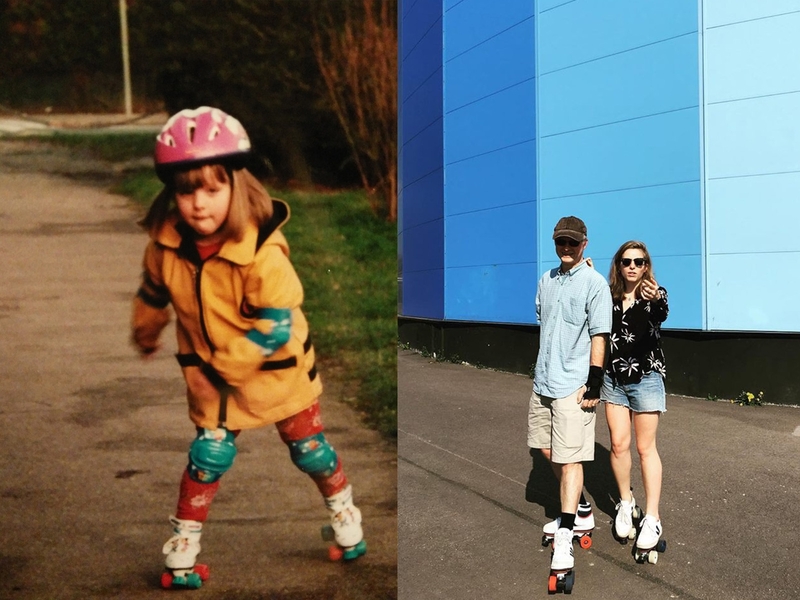 Born in the mid-90’s, Laurie starts inline skating at 8 in Les Sauterelles club (La Rochelle): “I refused to ride with quad skates. For me, this practice wasn’t my generation. I also ride out of my practice with my Heelys pair”. Laurie takes slalom freestyle skating class. After winning several titles in nationals competitions, Laurie stopped skating in 2009 due to injuries. “I discovered Flaneurz on Welcome To The Jungle. I tweeted the Clique members with my competitions videos to support my candidacy. I joined the team in March 2018”. Flaneurz image and Clique happiness manager, Johanna arrival brings a fashion and trend vision to the project. In collaboration with Johanna, Mathieu develops the Flaneurz event part. He organizes roller party with venues or companies. 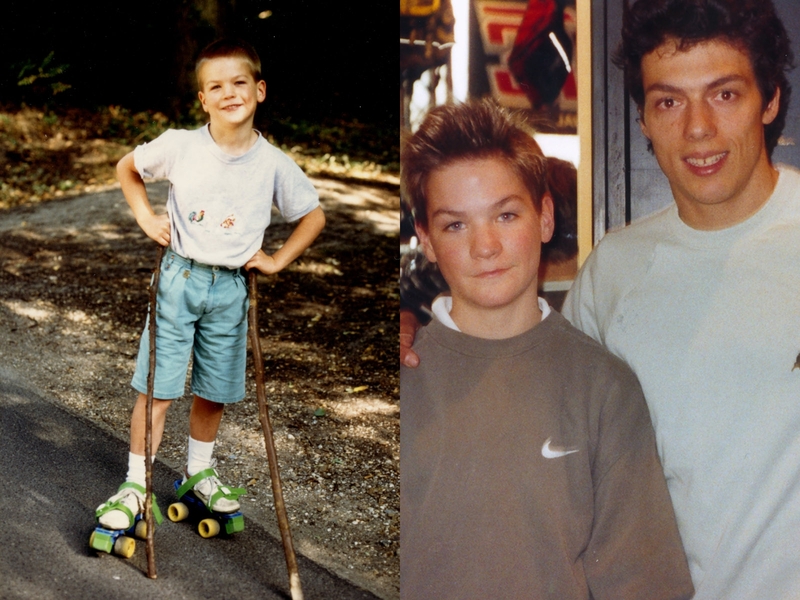 From Lyon, Mathieu experiments roller skates in the early 2000s. Later, he discovers the ice and snow sliding sports pleasures: "I have always practiced a lot of ice skating with friends. In addition, there was skiing. 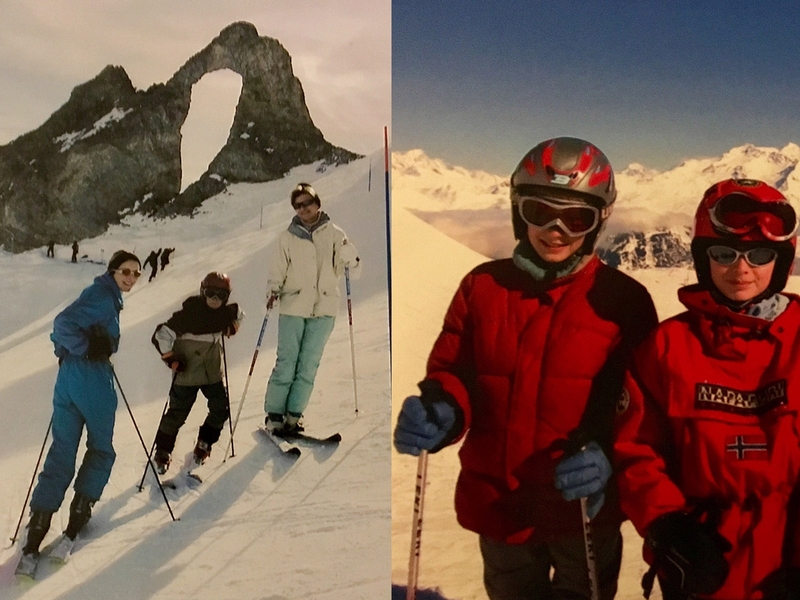 After several years in a club, I passed the first tests to become an skiing instructor at the ESF”. More confident in these disciplines, he still finds similarities with the roller world: “The innovative side is found in both sports. I love the diversity and the inventiveness of the disciplines“. When he arrives in the Clique in June 2018, Mathieu puts on roller skates at his first Flaneurz roller party at Concorde Atlantique. "I loved the concept of skating on a boat. For instance, I went home with roller skates. I felt several times. The cobblestoned streets were not easy, but I am now reconciled with roller skates". Mathieu sets himself the goal of having the same skills in skating as in skiing. The Clique has various origins, but we all share the same passion and the wish to make you discover the Flaneurz universe. Come and stroll along with us and follow the community's adventures on social networks (Facebook, Instagram et Linkedin) or via our newsletter.